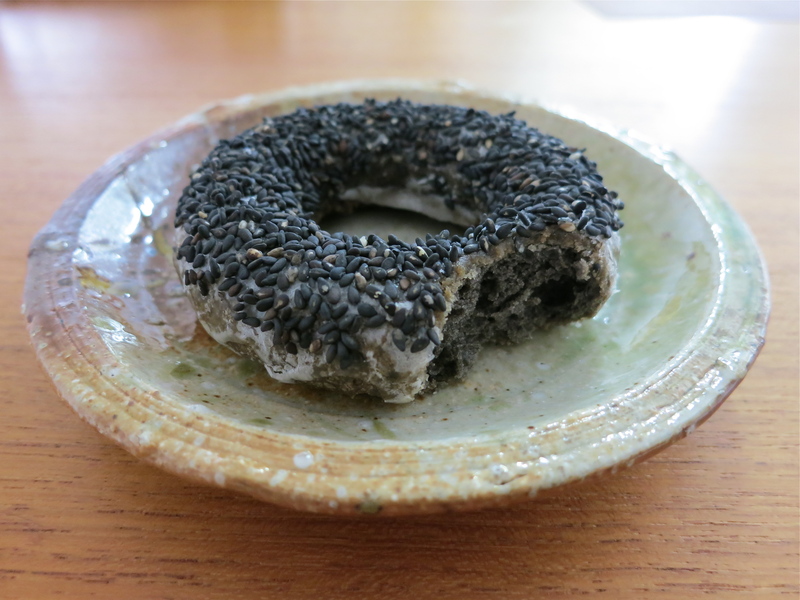 It’s the Double Black Sesame donut, chock full of toothsome seediness inside and out! I admit I was a little surprised when I bit into it and discovered the inside was totally black. This monthly special from Mr. Donut is definitely tweaked to Japanese tastes – it’s hardly sweet, tastes mostly like a mouthful of nuts.